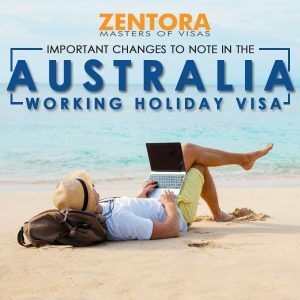 There are a few important changes to the Australia Working Holiday visa that all persons must know in 2019. The Home Affairs Department announced major changes to the working holiday visa program in Australia in November 2018. The main purpose of introducing these changes is providing farmers immediate access for working in major regional areas of the country. With Effect From 5th Nov 2018, there is an expansion in the regional work area of the country. It permits visa holders in the subclass 462 to do agricultural work and also gain eligibility for the visa program in the second year. Moreover, at Present applicants who have worked in Northern Australia previously are eligible. With Effect From 5th Nov 2018, there is an increase in the stay period of visa holders in sc 417 and sc 462 who work with the same agricultural employer. There is an increase in the stay period from 6 to 12 months. Increase in Annual Caps because The Home Affairs Department will increase the annual caps to many countries that participate in the visa subclass 462. Third-Year Visa –applicants for the visa on a date following 1st July 2019 must undertake 6 months of specific work in a regional area while they hold the second year sc 417/462 visa. This offers a good option to apply for the third year. Increasing the Eligibility Age – Applicants who are of 35 years age, from Canada/Ireland can now apply for the subclass 417. The major considerations were made in agricultural work which includes animals/plants cultivation. The amendments to the Working Holiday Visa program in Australia have been announced to address the shortages of the workforce in regional areas of the country. As per the Department, such changes will aid to increase the number of sc 462 and sc 417 visa holders availability for seasonal work requirements. Additionally, the amendments from 6 months per employer restriction have increased to 12 months per employer, which will allow regional employers to retain experienced and trained workers doing animal and plant cultivation work. Such changes will also allow holders to apply for a third-year visa to attract workers to work for a longer time period in regional areas of the country. The extension of regional areas will commence from 5th November 2018. These regional areas extend to Western Australia, Victoria, New South Wales, Northern Territory, South Australia, Queensland, and Tasmania.